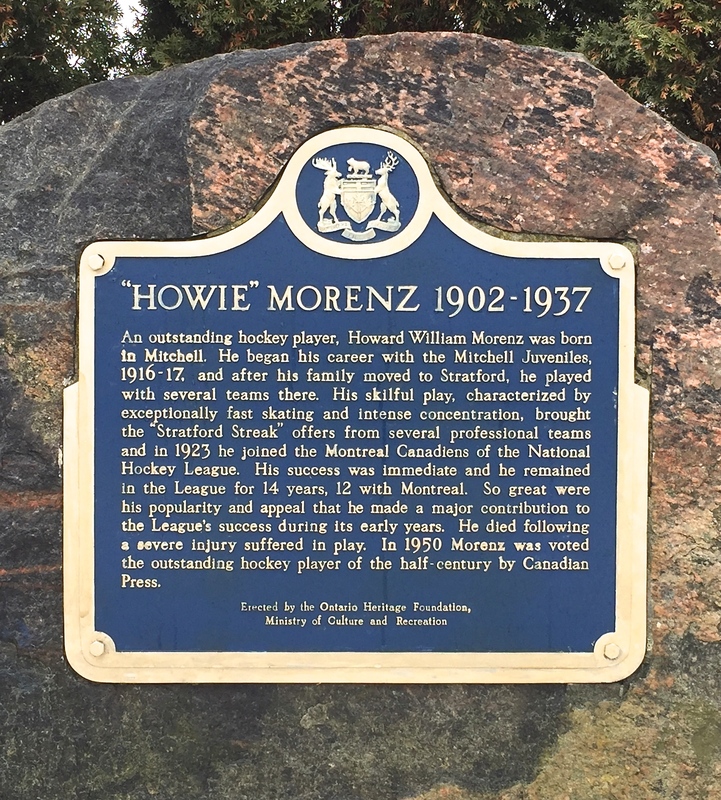 Howie Morenz wept when he finally agreed to join the Montreal Canadiens in 1923, abandoning a budding career as a railway machinist and departing his hometown of Stratford, Ontario, to become the world’s greatest hockey player. For 14 years his legend grew. Then, shockingly, 80 years ago this month, he died at 34. His friends said Morenz’s heart shattered when he realized his career was over. His hockey résumé by then would include two more Stanley Cups. Three times he was recognized as NHL MVP, and twice he led the league in scoring. He was one of the original nine players honored when the Hockey Hall of Fame inducted its inaugural class in 1945. In 1950, a national poll of Canadian sportswriters named Morenz the greatest hockey player of the half-century. Not so easily quantified is how much Morenz’s blazing talents helped solidify the NHL’s early success, especially in brand-new U.S. markets. Beloved in Montreal, he was the league’s biggest box-office draw. The sight of Morenz in motion is said to have convinced the boxing promoter Tex Rickard to start up the New York Rangers. Morenz was the one the Bambino himself venerated. He said that Morenz had the biggest heart of any athlete he’d ever known. Visitors to Stratford today tend to come for this handsome city of 33,000 for its renowned Shakespearean festival; some others, perhaps, are pilgrims seeking Justin Bieber sites — like Morenz, the singer grew up here. While you can book “Twelfth Night” tickets online, maybe download Stratford Tourism’s 25-point map of sacred Bieberly locations, a century after the hockey player’s family arrived in town, you’re on your own when it comes to Morenz monuments. Portraits hang in the city’s arenas, and there’s a street in his name. 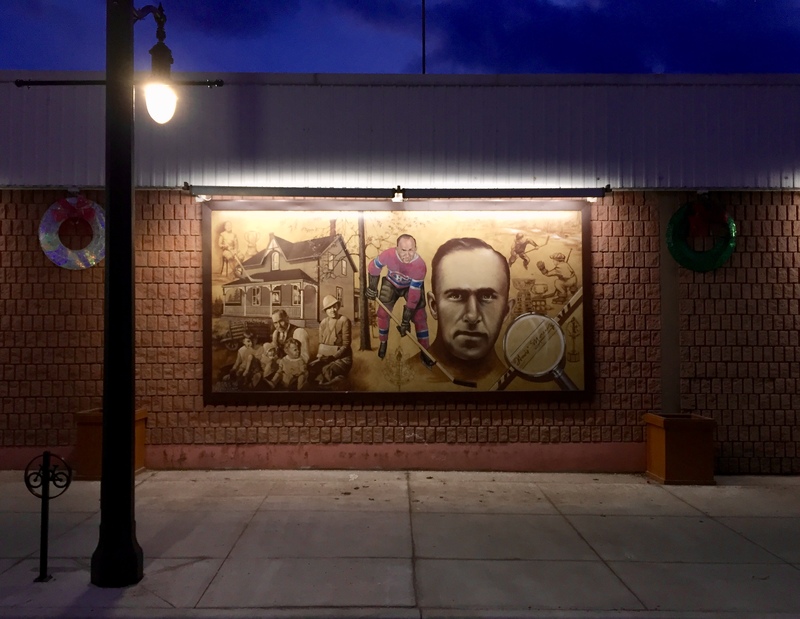 After you’ve gazed at the family house on Wellington Street where Morenz signed his first fateful contract, you might make your next stop 20 minutes to the west, in the smaller town of Mitchell, where Morenz was born in 1902 — ice zero for one of hockey’s most dynamic personalities, even when waning winter has freed the flow of the river where he played his earliest hockey. A plaque recalls Morenz in the downtown Mitchell park that bears his name. Mitchell wears its Morenz association with pride. The wider world may have known him as the Stratford Streak, but hereabouts he’ll always remain Mitchell’s Meteor. The arena where he played in his youth is gone now, but if you stand in the park named for him and peer north, you start to get your bearings on the story. It helps if you have Dean Robinson at hand. 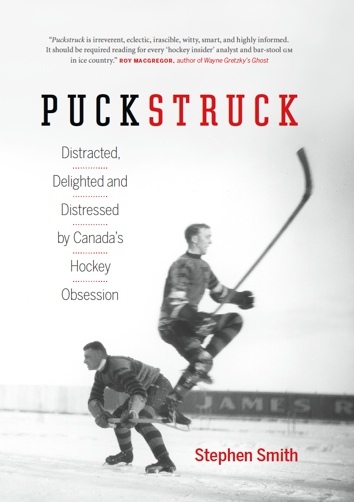 Mitchell-born, he’s a retired journalist and local historian who last fall published Howie Morenz: Hockey’s First Superstar, an updated edition of his 1982 biography. “He was good when he played here, but he wasn’t yet a stand-out,” Robinson says. “There were a couple of other guys who were better.” He can tell you how boy Howie skipped piano lessons to play hockey, and show you the spot, above the new dam, just north from where Whirl Creek joins the Thames River. “He just loved to play the game,” Robinson says. Morenz has a street here, too, to his name, along with a mural adorning the main-street wall of the supermarket. Minor hockey teams here are nicknamed Meteors in his honour. From a storytelling perspective, Mitchell moves you from Shakespeare towards Alice Munro: continue west on Highway 8 and you’ll soon find yourself in Huron County, home to the influential 2013 literary Nobel laureate and her fiction. And here on the edge of Munro territory, it’s tempting to borrow some of her atmospheres, maybe a suggestion of secret sorrows to cast a shadow into the narrative. It is true that one of Morenz’s elder brothers died young. And in 1922, the budding 19-year-old star returned home from hockey to learn that his mother, Rose, had drowned in a basement cistern — “ill for some time and her mind unbalanced,” a Toronto newspaper reported. Toronto tried to sign Morenz in 1923 before Montreal secured his signature. Robinson wonders whether Rose would have nixed his plan to turn professional if she had been alive. As it was, Morenz doubted his decision from the moment he made it, and was trying to escape his commitment almost to the moment he left for Canadiens training camp. Stratford did its best to keep him, too: local businessmen offered him $1,000 to stay. The Morenz era was hatched on an alternative fact: unsure of how a hockey player of German descent would be greeted in Montreal in the wake of the First World War, the Canadiens amended Morenz’s background to neutral Swiss. Morenz laughed, later, recalling the lie, joking that his legendary agility on the ice was learned leaping alp to alp. He thrived in Montreal. If the Canadiens were already known as the Flying Frenchmen when he arrived, Morenz, a centre, and his two speedy wingers, Aurèle Joliat and Johnny Gagnon, accelerated their attack and their popularity. The NHL had four teams when he started in 1923; by the end of the decade it had expanded to ten. Morenz was the league’s biggest box-office draw. Another team offered to buy him for $50,000 — nearly four times the franchise fee the Boston Bruins paid to come aboard in 1924. Off the ice, he was said to be modest, friendly and funny, a bon vivant who loved the racetrack, and to sing while he strummed his ukulele. Hockey players expect their sport to damage them: all those brash sticks and colliding bad tempers. Morenz was in the league five seasons before he lost a tooth, but in the meantime hockey tore his ligaments and dislocated his collarbone, gashed his head. He seems to have been almost constantly piling into goalposts. His thumbs broke, his kidney bruised. He was in danger off the ice, too. In 1932 he chased off a burglar from his mother-in-law’s house in Montreal, though not before the intruder bashed him over the head with his revolver. Another time, on the golf course, lightning struck as Morenz raised his (wooden) club to swing. A crackle, a flash: Morenz said he felt a jolt, no more. But he’d started to slip. He wasn’t scoring so much. Did the fans in the Forum actually dare to boo him? Dean Robinson says they did, and that Morenz cried. When Montreal manager Leo Dandurand traded his star to the Chicago Black Hawks that fall, he said it was to spare him further indignity. Morenz said he’d rather retire than leave, though eventually he boarded the train south, in more tears. Chicago was a bust. The goals didn’t return, and then he wasn’t playing. It was a mercy when he was traded again, this time to New York to play for the Rangers. The Canadiens bought him back in the summer of 1936. Re-united with his family, back with his old wingers, he was revived, and so too were the Canadiens. Dead last in the NHL the previous season, they were, by the start of 1937, atop the league’s International Section. Chicago stopped in at the Forum late in January. Morenz had a bad knee, which might have something to do with the fall he took early into the game. A rink attendant would later mark the boards where Morenz’s skate held fast — as a warning to navigation or for commemorative reasons, it’s not quite clear. “I’m all through,” Morenz is supposed to have said in the dressing-room. His tears were hot, according to one reporter, but he wasn’t blaming Seibert. He tossed up a brave wave to worried fans and teammates as he was stretchered to the ambulance. 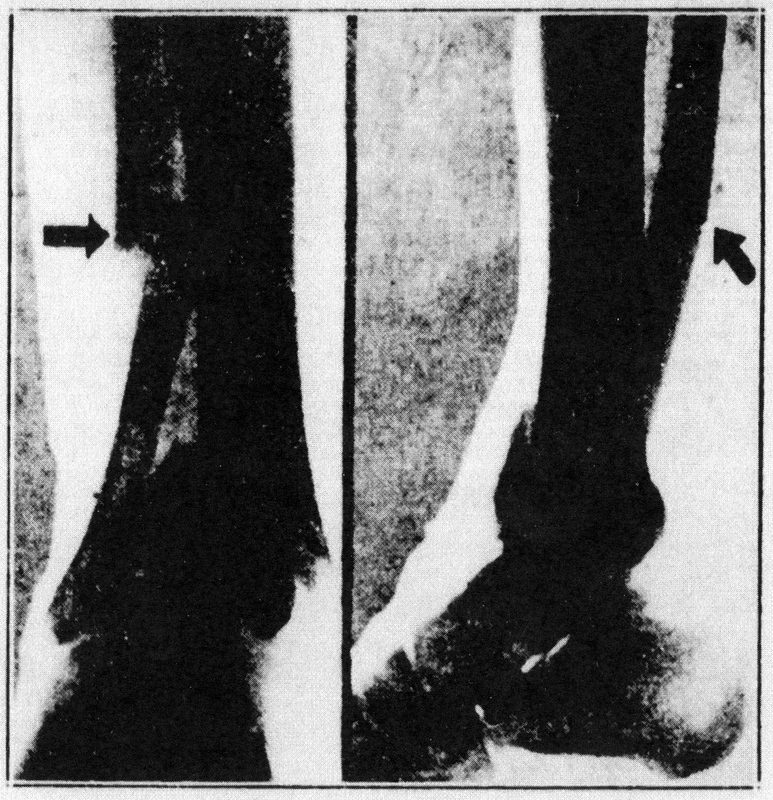 Radiographs of Morenz’s fractured left leg appeared in Montreal’s morning papers after he was felled in January. He was front-page La Patrie news next morning, peering up from bed in the photograph from his room at St. Luke’s Hospital. Inside, on page 24, readers could examine radiographs of his fractures. Were there two, four, five? It wasn’t not entirely clear. “Rarely has surgery seen such a severe break,” said Canadiens physician Dr. Hector Forgues. “It took 14 years to get me and they got me good,” Morenz told reporters when they crowded in a few days later. “But don’t count me out yet.” His room was filled with well-wishers in the following weeks, and (so it seemed) as much optimism as healthy good cheer. He was said to be mending well. There were tales of parties, beer under the bed. Then — something happened. Columnists mentioned “une violente dépression nerveuse.” Dr. Forgues said the patient was suffering from nervous breakdown but was improving. Vague at the time, the story hasn’t really clarified. There was talk that his weight wasted away. When he told Joliat that he’d be watching the Canadiens’ playoff games from “up there,” did he mean, maybe, a heavenly press box? Uncertain. That first week of March, visitors were banned, a guard put on the door, a nurse on constant duty. He died late on a Monday night, March 8. Did he try to leave his bed only to collapse? Die in his doctor’s arms, with an unnamed friend nearby? Other versions of the scene had him sighing and/or smiling at a nurse. Officially, the cause was deemed “accidental” — a heart attack — and the papers, at least, left at that. At the Forum two days later, boards covered the ice. An estimated 14,000 filled the arena. Attendees remembered flowers and silence. “He made straight for the goal,” the clergyman intoned, “in life as he did in the game of hockey — there were needless curves or loops in his course.” A further crowd of 25,000 lined the streets of Montreal as the body was borne to Mount Royal Cemetery. Guard Duty: Morenz’s Canadiens teammates served as pallbearers at his funeral. Left, front to back are Armand Mondou, George Brown, and Babe Siebert. Right: Georges Mantha, Paul Haynes, and Pit Lepine. The Canadiens said no-one would ever Morenz’s number 7 again — not until his eldest son, 10-year-old Howie Jr., was ready to join the team. An NHL benefit game in the fall of 1937 raised nearly $30,000 for widowed Mary Morenz and her three young children, but other parts of the story’s epilogue are grim. Kidnappers threatened the family. Later, an anguished Mary Morenz entrusted her three children to the care of an orphanage. Seven-year-old Donald died of pleurisy before she remarried in 1939 and brought home Howie Jr. and Marlene. Howie Jr. tried his best to follow in his father’s skates. He was talented and worked hard. He was a heavily scrutinized junior in Montreal first, then went on to play professionally for the minor-league Dallas Texans before the Canadiens released him in 1949 because of an eye condition. Howie Jr. died in 2015 at the age of 88. I asked his son recently whether the pressures of name and expectation had ever made him bitter. The third Howard Morenz is in his 50s, lives in Ottawa, where he’s semi-retired from a career in information technology. He played some hockey in his time, but decided early it wasn’t something he’d pursue. He’s been a careful student of his grandfather’s career and legacy. Adjusting the way his grandfather’s death is depicted is an ongoing project, as it was for his father. Back in 1937, friends (including Aurèle Joliat) trying to make sense of sudden death spoke of Morenz’s heartbreak. It didn’t take much for that notion to pass into the culture, an easy shorthand explanation that seemed to make sense in a country where the notion that being deprived of hockey might prove fatal to a man is anything but remarkable. “What could possibly go wrong with a broken leg that could lead to cardiac deficiency?” He believes that doctors may have diagnosed blood clots but delayed surgery. His father spoke sometimes of a chance encounter with a nurse in Montreal in the 1950s. She’d been on duty the night the original Morenz died. It was negligence, she said. “I’m just not certain that he got the quality of care that was necessary in that hospital,” Howie III says. His findings on his grandfather’s death fill two pages of Dean Robinson’s updated biography. Morenz III acknowledges that a definitive account of just what happened is unlikely at this point. He does find comfort in the respect Morenz still enjoys. In Montreal, where the Canadiens continue to command an almost religious devotion, his grandfather remains a senior saint. His dash is represented in a statue outside the team’s home at the Bell Centre in Montreal. And he was recognized earlier this year when the NHL named its top 100 players of all-time.